Saber Interactive’s chaotic shooter promises unique stories in co-op campaign. There hasn’t been too much information about Saber Interactive’s World War Z, a co-op action shooter adapted from Max Brooks’ novel. So it’s kind of surprising to see a gameplay trailer dropped out of nowhere, promising a co-op campaign across the world with different plotlines and missions. Check out the trailer below. Much like Horde/zombie defense titles, players will be able to build traps and barriers and utilize gun placements to push back the undead. Heavier weapons like assault rifles, light machine guns and explosives are also available. However, the twist is that there aren’t a few zombies attacking at one given time. Hundreds of zombies will descend on players, falling over themselves to kill them. 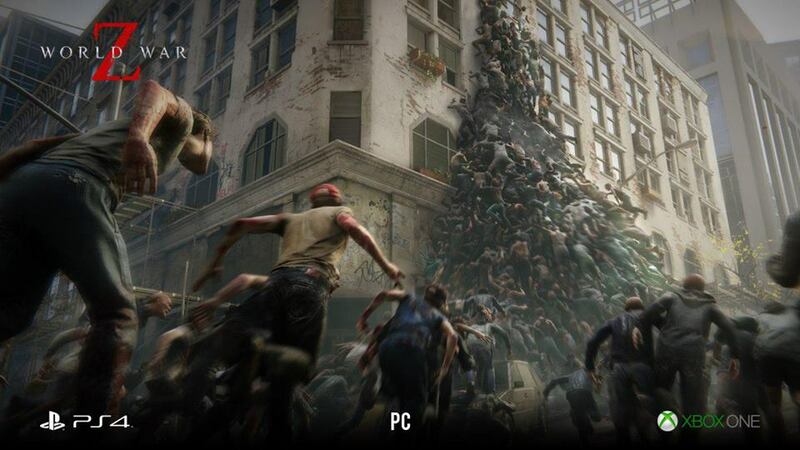 World War Z is in development for Xbox One, PS4 and PC. It doesn’t currently have a release date but the trailer promises that it’s “Coming Soon”. Could there be announcement for a release date at E3 2018? We can certainly hope so stay tuned for more information.